Fabric: 50% Silk, 50% Viscose. Simply Stunning Silk Top From Made In Italy Clothing. 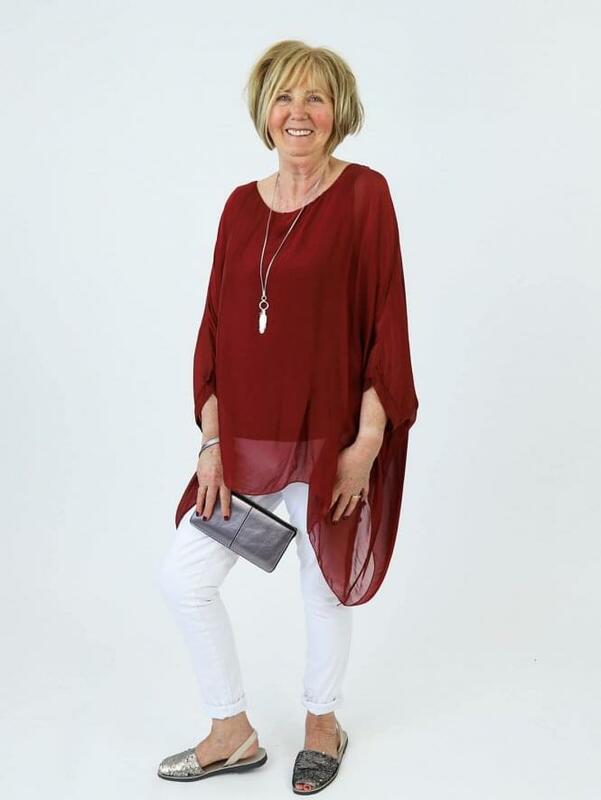 The Made In Italy Crudden Silk Top features a classic round neckline and lovely batwing sleeves. This Made In Italy Top is lined with a jersey fabric and is finished with a fabulously floaty silk overlay! The Made In Italy Crudden Silk Top is also available in other colours.